Sports Authority is a large US retailer of sporting goods. From its headquarters in Colorado, Sports Authority is a recognized name because they have stores across the country and online. In spite of its name, the history of Sports Authority is most closely associated with Gart Sports. Gart Sports was founded by a newspaper delivery man in Colorado who began selling fishing rods in 1928. Since then, the store had a local history until it opened its first superstore in the early 1970s. Beginning in the 1980s, a string of mergers and acquisitions powered Gart sports to be one of the largest players in the sports equipment retail industry. Before 1990, famous brands such as Hagan’s Sports, Stevens Brown had been absorbed. In 2001, Gart merged with Oshman’s Sporting Goods, although it continued to operate Oshman’s stores under their original name. Jake Oshman began Oshman’s Sporting Goods in 1919 and was the largest sporting goods retailer in Texas by the mid 1960s. By the time it merged with Gart, it operated 45 superstores and 15 traditional shops in several states. Sports Authority first opened stores in Florida in 1987. Since then, it was acquired by Kmart and then spun off as an independent company. In 2003, Sports Authority merged with Gart Sports, another large sports chain that operated brands such as Gart Sports, Oshman’s, and Sportmart. In 2006 Sports Authority was sold to an investment firm which took the company off the stock market to be privately managed. The Sports Authority online store is operated by a licensed third party, so often products that are not sold in the Sports Authority stores are available on the Web. Sports Authority is known for carrying a full line of sporting goods products. It has several private-label lines such as Alpine Design and Aspire clothing, as well as Bodyfit exercise gear. It also carries almost every national brand of footwear, baseball, football, basketball, and camping gear as well. Sports Authority stores adjust their inventory based on the season and what sports and activities are becoming popular. More than 450 Sports Authority stores are found in 45 of the United States. A joint venture with a third party operates Sports Authority stores in Japan. 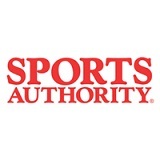 Sports Authority coupons are available at their online store at www.sportsauthority.com. By signing up for the store’s mailing list, you get a 10% off coupon right away as well as email announcements, coupons and specials, on an ongoing basis. Also, coupon sites on the Internet often have coupon codes that can be used at the Sports Authority online store. Sports Authority regularly advertises in local Sunday newspapers, so be sure to check their latest advertisement insert for coupons that can be used at the Sports Authority stores located nearest you.